We love comic book inspired movies! Can you imagine how excited we are that one of our favorite horror directors is directing a comic book movie? DC’s latest addition to its cinematic universe, Aquaman, is one of this winter’s most anticipated movies. 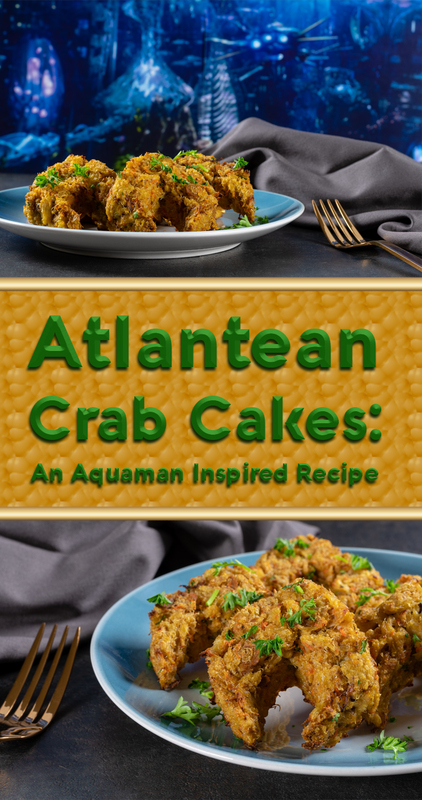 Inspired by the film, we’ve created a delicious recipe for Atlantean Crab Cakes. Not only that, but we have a great giveaway as well! 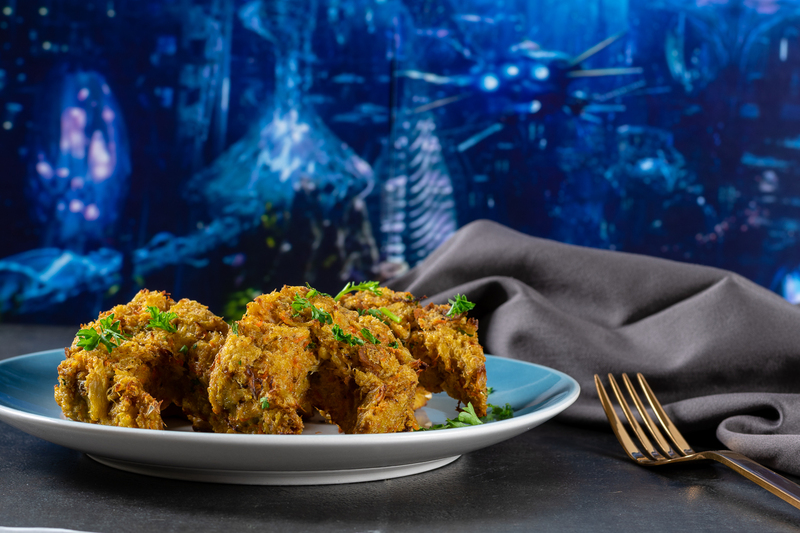 Much like our Aquaman’s Lobster Cups, the creation of our Atlantean Crab Cakes was inspired by a few different things. First and probably the most obvious is the use of seafood. As we mentioned in the other recipe, in issue #1 of New 52 Aquaman, Arthur Curry orders fish and chips. Thus proving that Aquaman DOES, in fact, eat seafood. The second inspiration comes from the original Arthur Curry and the fact that the character is from Maine. Again, as with our last recipe, this means that we are using the flavors of the region, bay seasoning, for example. 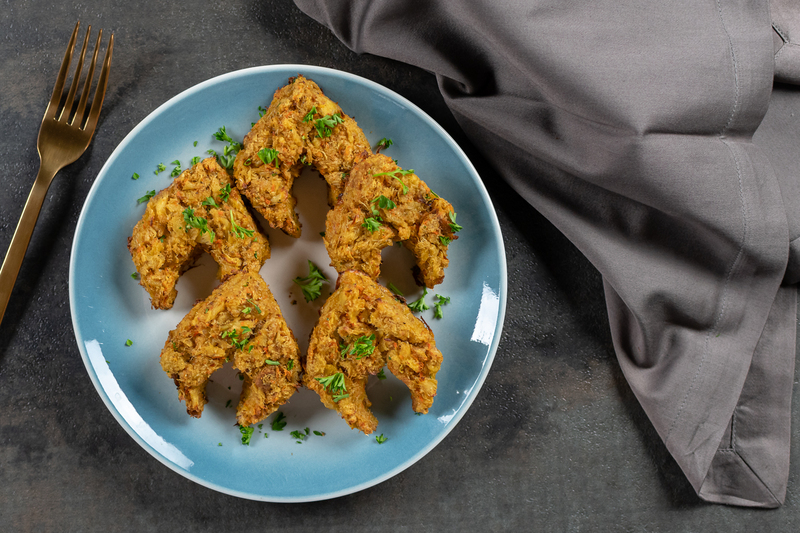 Lastly, we brought in some visual inspiration by using the Aquaman logo as the shape of our crab cakes. Pairing these crab cakes with our Lobster Cups will have you set for a sensational seafood party! Now that you have a delicious crab cake recipe, here is the fun part! We are giving away 15 pairs of VIP Screening Passes to an advanced showing of Aquaman! The showing will be held at Arizona Mills IMAX on Monday, December 17th. The screening starts at 7 pm and the winners should arrive at 6:15 in order to guarantee their seating. Winners will be selected on Friday, December 15th at 4:30 pm. Good luck! 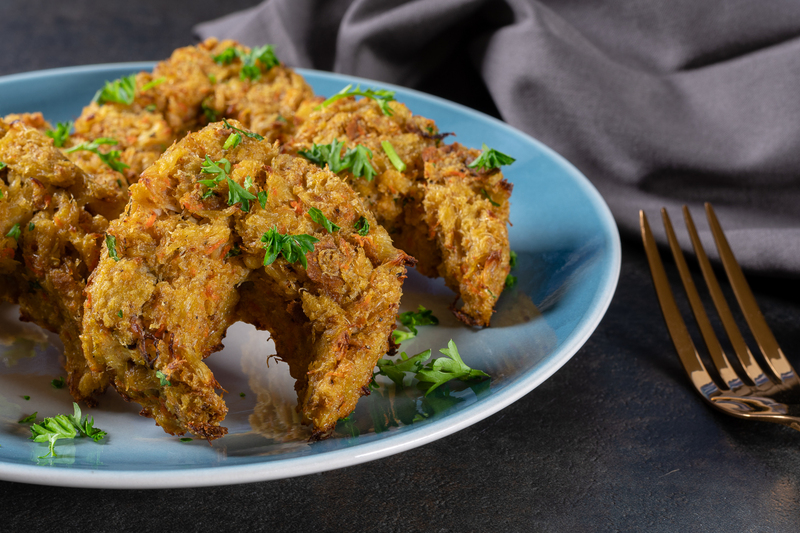 Inspired by DC's latest film Aquaman, The Geeks have created delicious Atlantean Crab Cakes seasoned with bay seasoning. These tasty treats are perfect for movie night! Shape mixture into 4-6 Aquaman logos and place on a plate. Place crab cakes on a baking sheet lined with parchment paper. These look delicious! I’m saving this one for next summer when we can enjoy them out by the lake alongside a crawfish boil.